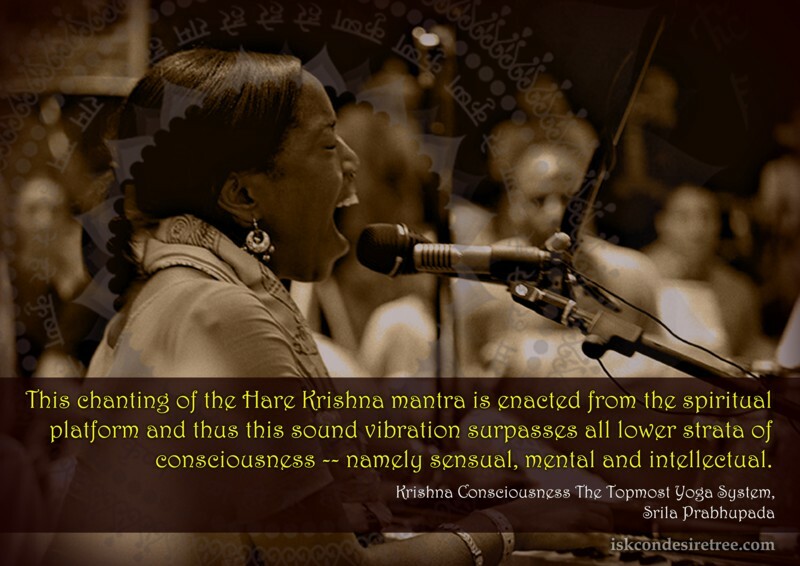 This chanting of the Hare Krishna mantra is enacted from the spiritual platform and thus this sound vibration surpasses all lower strata of consciouness – namely sensual, mental and intellectual. The yoga system is used for controlling one’s mind and bringing down oneself to the stage of Samadhi. If you are steady either in success or failure, that is called yoga. Don’t mind for the success or failure. Do act on behalf of the Supreme Lord and if you are steady in that position, then your working in spiritual platform is successful.